Naomi has started to think that she isn’t meant to find love, but she might receive more than she ever hoped for this Christmas. Twenty-four-year-old Naomi King, who has been burned twice by love, has all but given up on marriage and children. 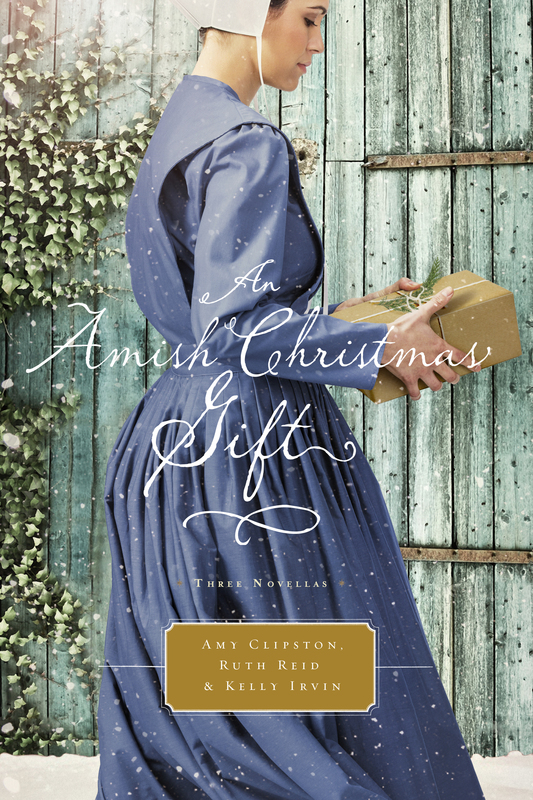 As Christmas approaches—a time of family, faith, and hope for many others—Naomi is more certain than ever her life will be spent as an old maid, helping with the family’s quilting business and taking care of her eight siblings. Then she meets Caleb, a young widower with a 7-year-old daughter, and her world is once again turned upside-down. Abigail has driven other suitors away, but can Micah find a way to show her he cares? Abigail Kemp has managed to frighten off every bu who’s ever driven her home from a singing. Sure she will live to be an old maid, Abigail starts saving her money to buy a horse so she can at least have some independence. Micah Zook is looking for a caregiver for his grandmother, and Abigail needs a new job. He never expected that Abigail would talk so much…or that his grandmother would keep finding ways to set the two of them up. Despite Abigail’s constant chatter, she and Micah become friends—until Micah makes a decision that leaves Abigail feeling betrayed. With Christmas in their midst, can Micah find a way to reconcile with Abigail and to reveal what’s on his heart? Frannie Mast returns to Bee County for Christmas, but her heart stays back in Missouri with an English farm boy. Frannie knows her parents have the best of intentions when they send her back to Bee County, Texas, to live with her aunt Abigail and her husband Mordecai. After all, she knows nothing can come of a relationship with Rocky, the handsome but Englisch farmer boy back in Missouri. It’s best to put those feelings aside, no matter how hard it is. But all bets are off when Rocky follows Frannie to Texas to plead his case. Could he be the Christmas gift to end all gifts?